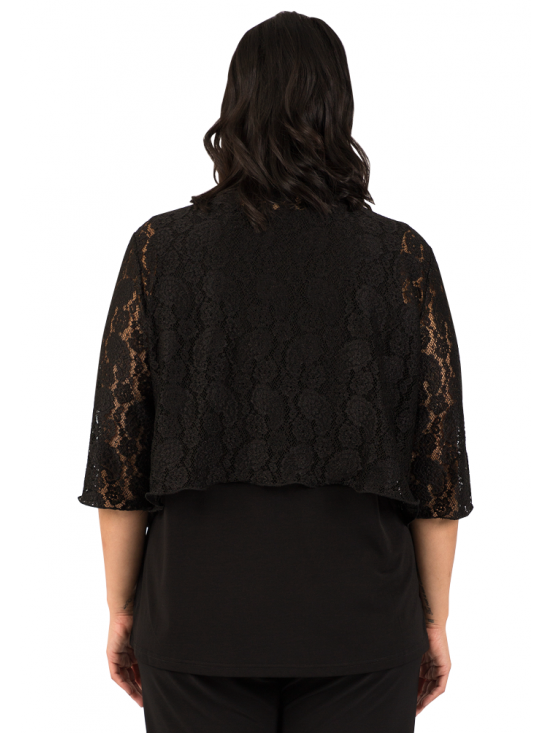 Stylish, black lace Bolero is an elegant addition to any outfit. An elegant short evening jacket in an unlined stretch black lace with satin trim at the neck and front edge. Features 3/4 sleeve with rolled hems at sleeves and hem. Teams beautifully with our new full length black lace dress, or wear it over a cami or sleeveless top to add a touch of class to any outfit. Length: centre back - 44cm (approx). Sleeves - from shoulder: 40cm (approx).